Here is a picture of Magda Desrameaux Richard assassinated in Delmas 19 as she was picking up her children from a beauty salon. 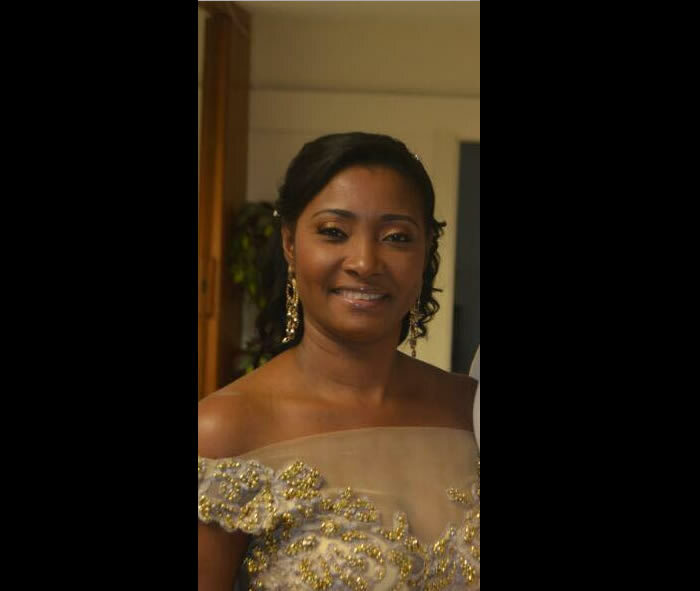 On Friday night July 22, 2016, in Delmas 19, Ms. Magda Desrameaux Richard was assassinated by an unknown gunman while she was picking up her children from a beauty salon. She was the cousin of the deputy of the town of Tabarre, Mr. Caleb Desrameaux. Magda's father, Max Gasto Desrameaux, is an engineer and the former president of the "Alliance Francaise" of port-de-Paix. Magda Desrameaux Richard, the mother of two children, was born in Port-de-Paix, attended the College Notre Dame de Lourdes and was very popular among young people of her generation. So far no arrest has been reported and the motive of the crime is still unknown. Magdala Desrameaux is the wife of Richard Blind and the niece of former Agriculture Minister Hébert Docteur. According to some sources, the bandits managed to leave the spot with victim's vehicle Toyota Hilux, IMM: AAO3310, which was later found abandoned at Bi Delta in Delmas 31, Okay City.